Laser Therapy is the use of specific wavelengths of light (red and near-infrared) to stimulate the body’s natural ability to heal. The effects of laser energy include improved healing time,​ pain reduction, increased circulation and decreased swelling. 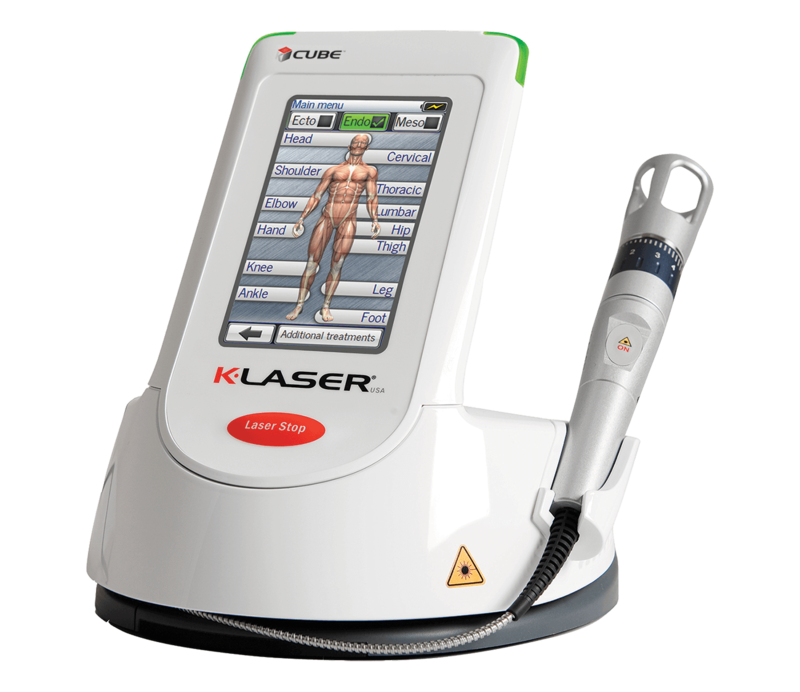 “Class IV K-Laser Therapy is an FDA cleared therapeutic treatment that manages pain and inflammation while accelerating tissue regeneration. Laser energy increases circulation, drawing water, oxygen and nutrients to the damaged area. This creates an optimal healing environment that reduces inflammation, swelling, muscle spasm, stiffness and pain” (K-Laser USA). “K-Laser Class IV therapeutic lasers deliver specific red and near-infrared wavelengths of laser light to induce a photochemical reaction and therapeutic effect. Physiological effects include increased circulation, reduced inflammation, pain reduction and enhanced tissue healing. Laser therapy has been used in Europe since the 1970s and was cleared by the United States Food and Drug Administration (FDA) in 2005” (K-Laser USA).